Kombu is a large type of seaweed that is often used as a soup stock or in nabe (hot pot) dishes. Wakame is often used in soups such as the miso soup or in sunomono salads. Wakame is usually sold in dried form, and is soaked in water before usage. 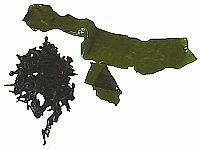 The picture on the left shows wakame in dried and soaked form. 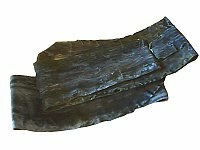 Nori are thin, dried seaweed sheets. 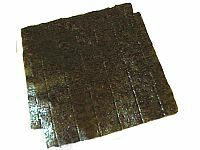 Nori sheets are used in many sushi dishes, for rice balls and as a topping or condiment for various noodle and other dishes.